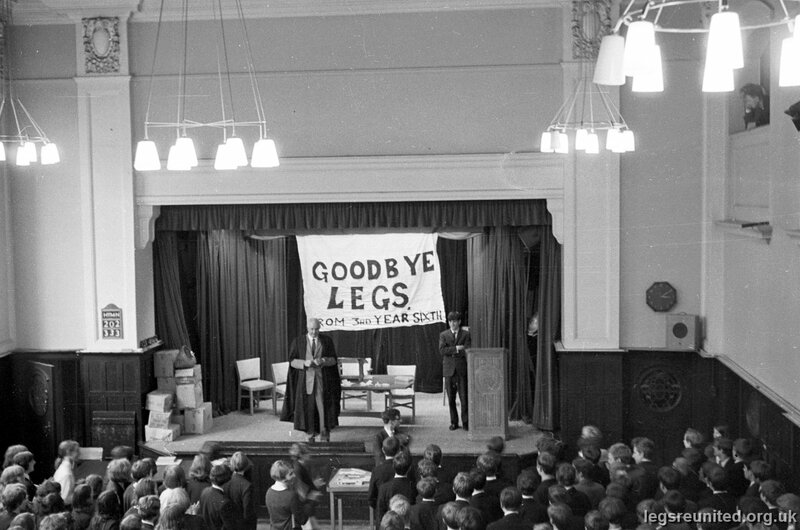 Goodbye LEGS from Upper sixth year 3. Robert Casboult with Headmaster Mr Grey. Dyanne Berringer I think just in front of the Head. For those that attended in later years note the decent lights and the senior pupils and teachers looking from the balcony corridor. Table at front beneth the stage holds the model of the new school. Says David Wardell who too the picture: 'That's it , the last assembly on the last day. The next time I and the rest of the 6th form leavers came in here was to collect our A level results'.